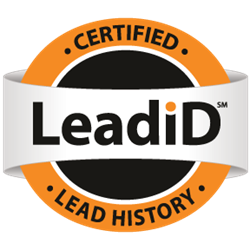 “LeadiD is becoming the de facto standard for bringing both lead buyers and sellers together because our technology platform empowers a neutral and trusted transaction." LeadiD, the first neutral, privacy-friendly, trusted arbiter of lead transactions, today announced that it has raised an additional $1 million in capital from Philadelphia-based Genacast Ventures, lead investor in LeadiD’s initial $1.7 million seed-stage investment. The investment supports the company’s growth trajectory and is a strong validation of both its business model and the growing adoption of the LeadiD authentication standard in multi-billion consumer verticals such as education, mortgage, insurance and short-term loans. LeadiD will use the new funds to expand its team, accelerate product innovation and continue to drive market adoption. This new development builds on the company’s early success in forming strategic partnerships with industry leaders to facilitate seamless adoption by lead buyers. Earlier this year, the company launched LeadiD Marketplace, a single source for best-in-class marketing solutions that support the LeadiD standard. Solutions in LeadiD Marketplace are fully integrated with LeadiD, and are offered ‘on-demand’ for rapid implementation, enhanced results and increased ROI. A few short weeks ago, the company also reached another major milestone with the unveiling of the LeadiD TCPA Solution. The app provides organizations a way to obtain and demonstrate definitive confirmation that the proper TCPA (Telephone Consumer Protection Act) disclosures were present during the lead event and that the consumer did in fact provide express consent. The LeadiD TCPA app is the first truly scalable TCPA app because it doesn’t require disruption of dialer operations with manual screen shot review, thereby preserving an organization’s speed-to-contact advantages. LeadiD also commissioned a white paper and checklist addressing TCPA concerns in the online media sector. The firm has also been recognized by industry peers for significant achievement and was named winner of the coveted Most Innovative Company award in the 2013 LeadsCouncil LEADER Awards program. Genacast Ventures (http://www.genacast.com) invests in Internet technology entrepreneurs with a vision and passion for forging new markets or disrupting old ones. Established in 2008 as a partnership between serial entrepreneur Gil Beyda (Real Media and Tacoda) and Comcast Ventures, Genacast’s commitment to helping exceptional entrepreneurs build great companies is already experiencing success with its first investment Invite Media being acquired by Google and its second investment Demdex being acquired by Adobe. Current portfolio companies include DoubleVerify (online advertising), PackLate (travel), Enterproid (mobile), Mortar Data (big data), LeadiD (lead generation), YieldMo (mobile advertising), Rocketrip (corporate travel) and Riskive (security). Genacast invests up to $1M in 3-4 seed-stage start-ups each year.